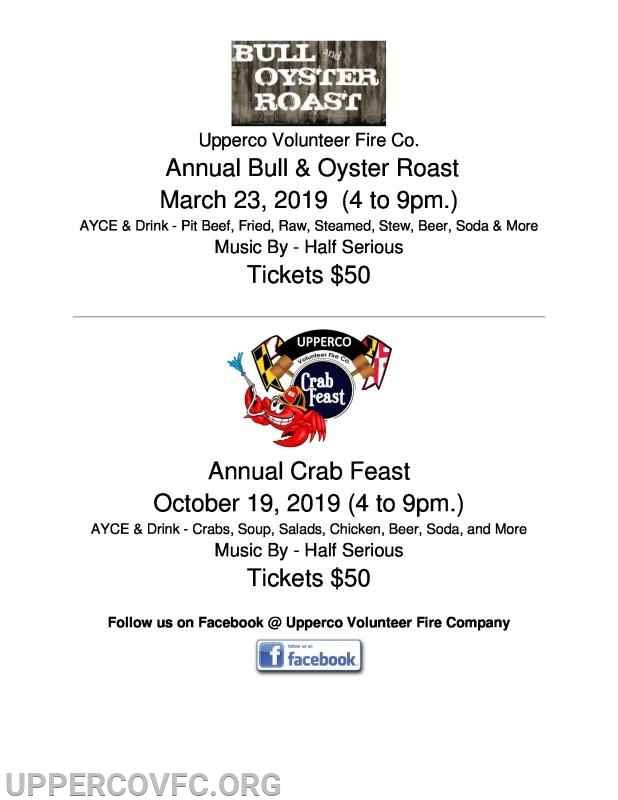 The Upperco Volunteer Fire Company will be kicking off its busy 2019 fundraising season starting on March 23rd with our Bull & Oyster Roast. 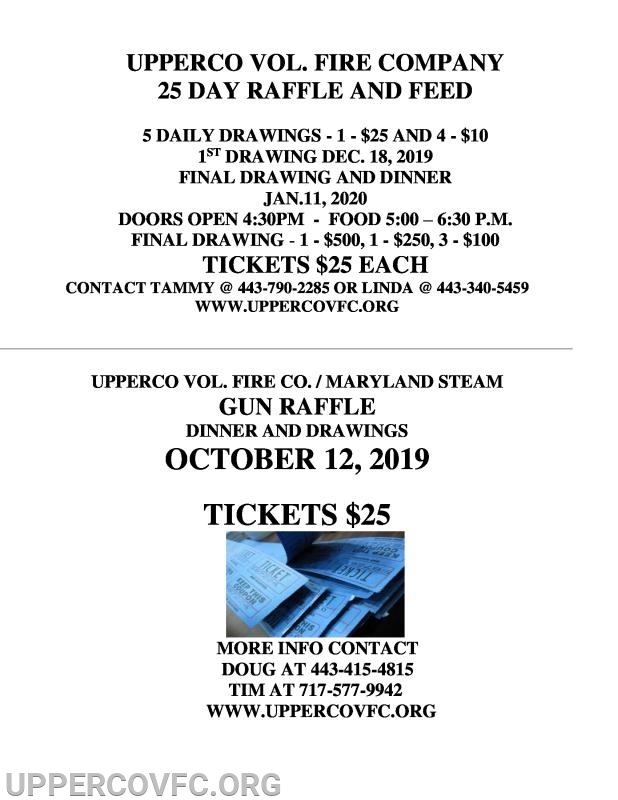 After consolidating the Arcadia & Boring Volunteer Fire Companies, we are now in our second full year and all of our fundraising events are carrying the Upperco name. We have a group of dedicated volunteers that provide emergency services to our community everyday. The equipment we provide our volunteers with to do their job efficiently and safely comes with a large price tag. We are still working hard to build our new fire station on Hanover Pike, which will be more centrally located and better suited to have our volunteers spend more time there. This will only increase the efficiency of the services we already provide. To reach our financial goals we have revamped our fundraising efforts for 2019 and also added a brand new event. 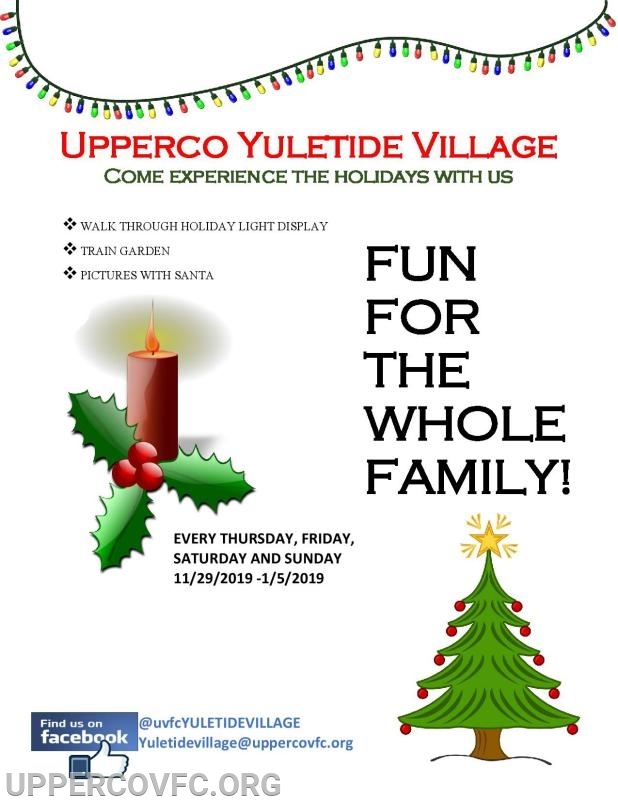 We are excited to announce our plans for the "Upperco Yuletide Village" a Christmas light walk through with train garden, pictures with Santa, carolers, and much more. We look forward to having you " come experience the holidays with us" this year starting on 11/29 and running through 1/5. 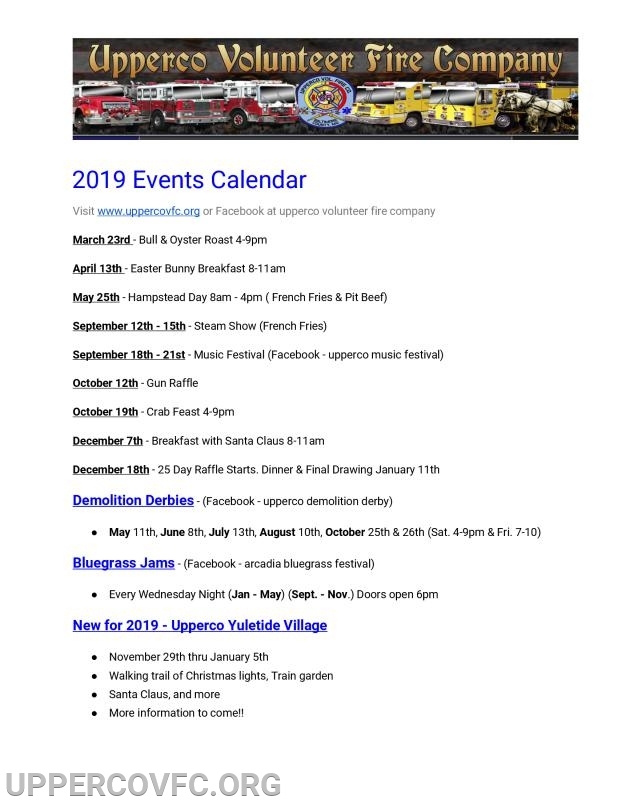 We offer something for everyone throughout the year from a music festival, demolition derbies, raffles, feeds, 2 holiday breakfasts, and now the yuletide village. 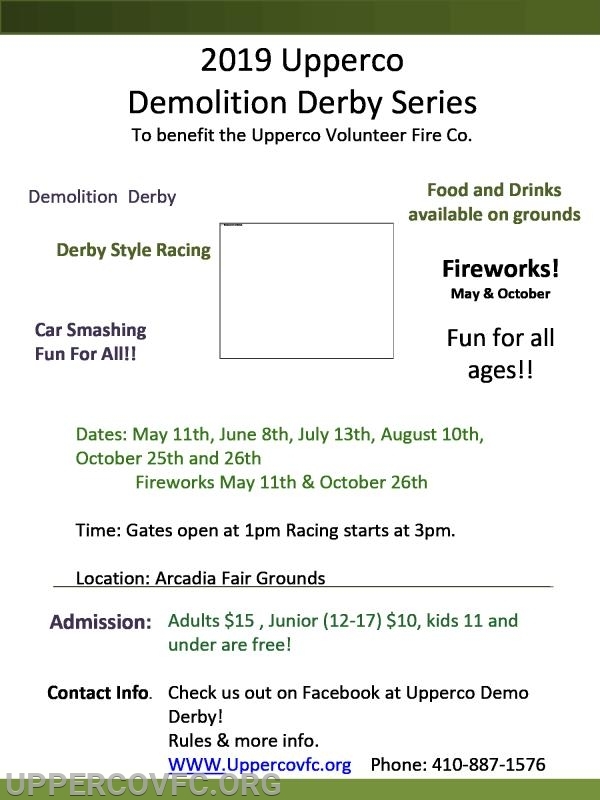 Please come out and support one or all of our events this year to help us so we can help you. The event schedule looks like fun! 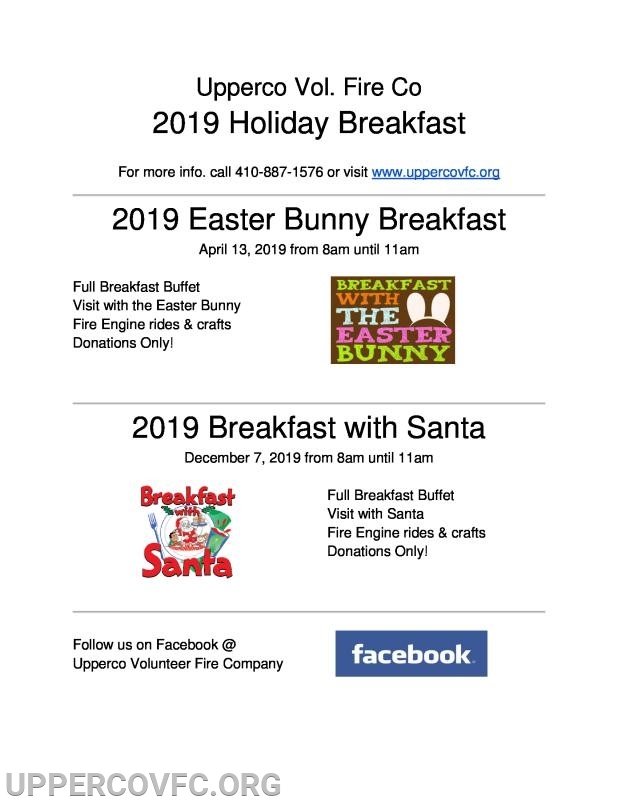 For the breakfast with the Bunny and Santa do you need to register to attend? No need to register to attend! 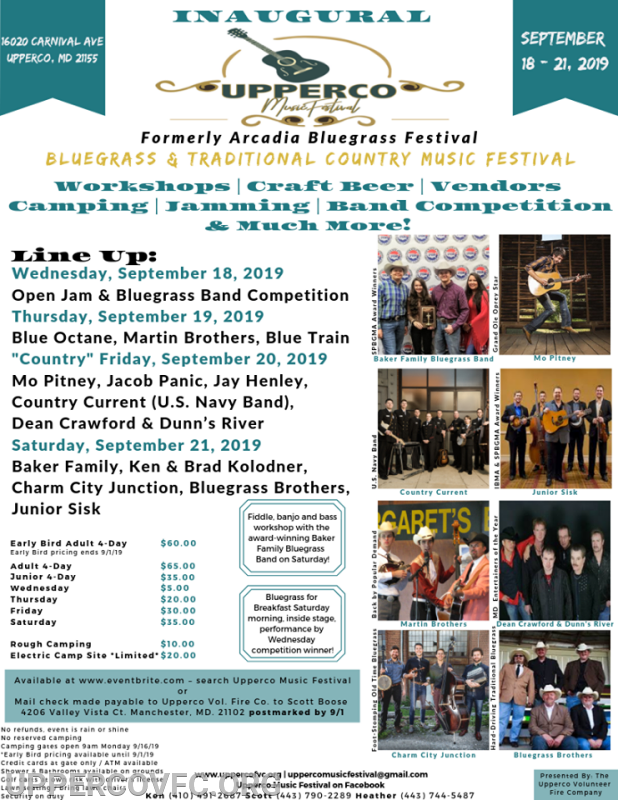 Hope to see you Saturday!